“So, remember that show that I like? Project Runway?” I asked my husband. “But…you like to watch that show, so that’s a good thing, right?” Shaun asked. We both paused in our Very Important Conversation to glare at our opinionated teen for a moment. Then my Beloved valiantly defended me. (Have I mentioned how much I adore that man?) He assured us both that not only was I just the perfect age, I was most definitely a Hipster. 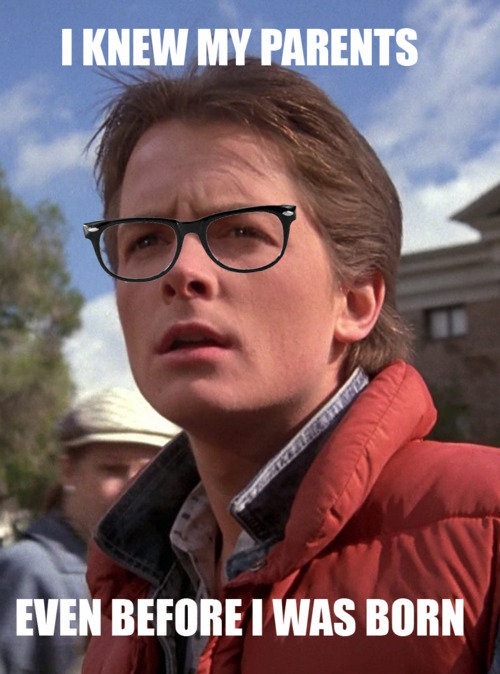 After all, I was into things before anyone else was, I owned some really cool glasses and I once constantly wore a really ugly hip plaid flannel jacket. Hey Kids…If you want to be a super awesome Hipster like me, join my FACEBOOK page. Then you can say something like, “I was like, one of the first twenty that even knew she had a Facebook page” Click HERE before you miss out on this once in a lifetime offer! (I’m trying to say that with a straight, disdainful face like a true hipster would, but I find that it just cracks me up. Hmmm…is it possible I’m an imposter? This entry was posted in Family, It's all about me!, Mimi, That Man O' Mine and tagged Hipster, Project Runway. Bookmark the permalink.